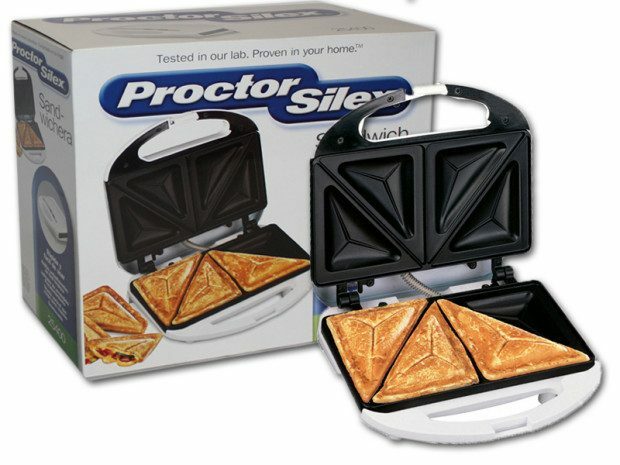 Proctor Silex Sandwich Toaster Just $12.39! Down From $34.22! You are here: Home / Great Deals / Amazon Deals / Proctor Silex Sandwich Toaster Just $12.39! Down From $34.22! These Christmas deals are dropping like rain! Grab this Proctor Silex Sandwich Toaster on Amazon for just $12.39 down from $34.22!